You may have been a little shocked to read the above title in reference to the wild-assed, ribald-laced, gonzo front man of the legendary West Coast punk rock band The Supersuckers, but die hard fans of Eddie Spaghetti don’t need to be sold on the idea that when Eddie wants to wipe the smirk off of his face, he can pen (or sing) a pretty heartfelt composition, and that even his more silly material still coveys solid elements of wit. This is what Steve Earle picked up on when he decided to do an album with The Supersuckers, and what country fans heard when the band surprising released a real country record in 1997 called Must’ve Been High. 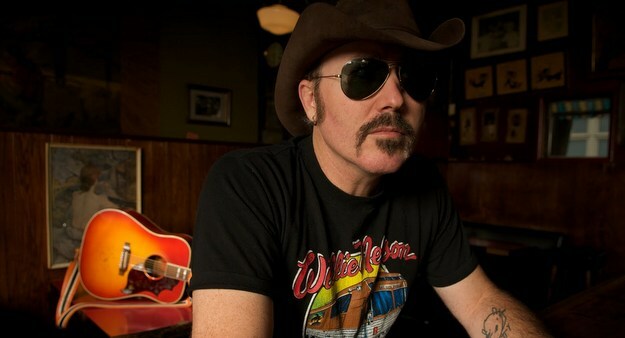 It’s also what has motivated Eddie Spaghetti to continue to release solo country records while continuing his Supersucker duties, including his latest one The Value of Nothing co-porduced by Jesse Dayton in Austin, TX, and dropped a few weeks ago through Bloodshot Records. The Supersuckers will be hitting the road with up-and-coming country outfit Hellbound Glory on September 1st (see dates below). Eddie was kind enough to take a few minutes to talk to me about The Value of Nothing and the songwriting legacy he’s trying to leave behind. Trigger: The Value of Nothing is your first solo country or country-ish album of all original songs. Was this on purpose, or did it just sort of happen that way? Eddie Spaghetti: No it was sort of on purpose. I decided that I should probably start taking this solo thing that I do a little bit more seriously. I always wrote a couple songs for each solo record but I never really bothered to write a whole record, because it was more fun for me to do a bunch of covers. I didn’t take the whole solo artist thing too seriously. And I still don’t think that I take it that seriously. But I appreciate that it’s a real thing for me to be able to get to do now. I just kind of wanted to start leaving a legacy of solo material behind. You’ve been working pretty hard. You put out another solo album Sundowner in 2011 and you’re working on a new album with your main gig being the front man for The Supersuckers. What motivates you to keep releasing music? You mentioned leaving behind a legacy. Is that what is driving you? Yeah, that’s kind of what it’s turned into. When we started The Supersuckers, that wasn’t really something we thought about. We just wanted to be a big arena rock and roll band. But it wasn’t in the cards for us, so that’s when you start shifting your priorities and you start realizing, “Wow, I’ve really written a lot of good songs.” And you just try to maintain that level of quality and hope that eventually people will notice. Could you feel like a fulfilled musician without releasing any country records? No, because it is such a part of who I am. It’s a real passion for me to just make up good songs, whether they be country songs or rock songs. But I just think that a good song is a valuable thing to everybody. Who doesn’t want to hear a good song? The Value of Nothing has a cool cover that speaks to the title with this girl that’s got all this money that’s been ink splattered, or whatever they call that when they rob a bank. Where did the inspiration of that come from? My wife came up with the whole idea, with the concept of the cover. She collaborated with the art guy that we use for all the solo record covers. She’s actually the model for the cover. It worked out really well. I think it made sense in a loose kind of way to the title. 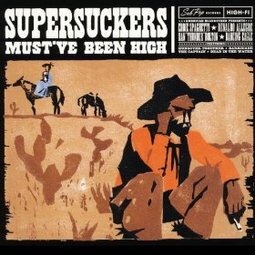 In 1997 The Supersuckers released Must’ve Been High, a sort of landmark album that was the precursor to the whole “punk gone country” movement that would come later, and allowed y’all to get to play behind folks like Steve Earle and Willie Nelson. There were a few others before you like The Knitters, but at the time did you feel like you were doing something cutting edge and innovative, or were you just out to have a good time and it turned out that way? Yeah, it was kind of a little bit of both. We knew we were up to something cool. We knew what we were doing was really cool. And when the record came out our fans were so shocked. The reaction to the record was pretty crappy. No one really liked it. No one got it. Everyone thought we were just taking a piss, and throwing our last contractual obligation to Sub Pop down the toilet. But we didn’t feel like that at all. We thought we were going to make this real good real country record, and it’s going to stand the test of time. And it turns out it has. It’s become our big record. Now that there’s so many punk bands turning their electric instruments in for acoustic ones, do you feel like it has become more of a hip thing instead of one driven by heart for punk bands to go country, or is it a cool phenomenon? I think it’s a little bit of both. Some of these bands are just in it for the fashion of it, because you know they can’t really play fast, or they can’t do the things they initially thought they could do. But it turns out they can play an acoustic guitar okay, so they switch. You know, if you’re a remedial artist, you’re going to be a remedial songwriter. It takes someone really special to make it, and I think the cream usually rises to the top. Eventually people notice who’s good, and who’s kind of pretending at it. I don’t bother myself with insulting bands too often unless they’re just really crappy. You’re about to go out on tour with Hellbound Glory; a band that’s finally getting some worthy attention. Do you know their music, and what do you think about them? I like them, I think they’re good. I think they’re quality, and they’re the real deal. They put on a really good live show. I’m really looking forward on going on tour with them. Just listening to “Must’ve Been High.” Very good album. Quite the change from their previous record, but I don’t know if I agree with the “trailblazer” assessment. To me, much of the album sounds like almost a carbon copy of the Old 97’s, and they released their first album in 1994. The Supersuckers released the album preceding “Must’ve Been High” in 1995, and it was straight up loud abrasive punk. I obviously don’t know the answer, but there’s a chance they heard Old 97’s, who were supposed to be the Nirvana or Pearl Jam of alt-country but never blew up like people thought they would, and thought that that type of music was cool and worth making. Just my two cents. The reason “Must’ve Been High” was groundbreaking is because who it was presented to. If you were a West Coast punk fan in 1997 living in Seattle, Oakland, LA, or even Austin or New York, you had no idea who The Old 97’s were, or that country music could be cool. “Groundbreaking” is not even necessarily a commentary on the music of that album, it’s more how it reshaped the landscape and consciousness of the underground music fan. Got ya. I like the album a lot, I just instantly thought of Old 97’s when I heard it. I can see your point though. Awesome, definitely gonna have to catch that KCMO show. You have any updates in regards to when Hellbound is releasing ‘Merica? No new news. They have been touring so hard, I’m not sure they’ve had the time to pursue any recording. May have a more in-depth Hellbound update ahead of this upcoming tour. Punk gone country was here way before the supersuckers. Remember mojo nixon, the beat farmers (they were kinda punk), jason and the scorchers, blood on the saddle, goober and the peas. That d make a cool article, the roots of cowpunk listing a few bands that were there in the 80’s, 90’s… And sub pop released a few not so grungy records, such as the first Rev horton heat LP, back in 91. Got my ticks for Omaha 2 weeks ago.